Falvey Memorial Library :: VuFind Summit 2015: Technology Reaching New Heights! VuFind Summit 2015: Technology Reaching New Heights! For those who don’t know, VuFind is an open-source library resource portal designed and developed for libraries right here by Villanova University’s own Falvey Memorial Library. VuFind replaces the traditional online public access catalog, enabling users to search and browse through all of a library’s resources. We are proud to say that components of this system have been implemented in institutions all over the world! In order to continue conversations about the system, Falvey Memorial Library has been the home base of several VuFind meetings over the years. 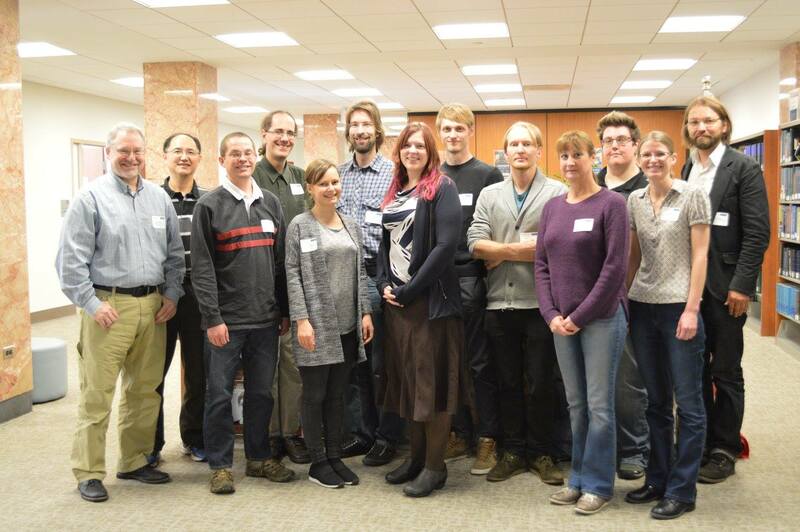 In fact, on October 12 and 13, the 2015 VuFind Summit brought to Falvey about fifteen software developers from a variety of places, including Germany and Finland, to discuss the use and future course of VuFind. This event continued some conversations begun at an even larger “community meeting” held the previous week in Germany. A group shot of the 2015 VuFind Summit Conference attendees! Presentations at the conference covered some unconventional uses of VuFind – for example, as a website to document a painting restoration project, and a set of genealogy databases – as well as providing tips on how best to manage the software, including a fascinating discussion on how to enable the software to run without interruption even when searching huge numbers of records under heavy load. The planning session and subsequent “hackfest” led to some useful discussions about interoperability and reusability and suggest that future development of the software will focus on allowing VuFind to interact with a wider variety of systems and be reused in novel ways. Welcoming developers from distant places to interact in person also led to some useful knowledge sharing, particularly with regard to new features of VuFind’s underlying tools, and this exchange of knowledge will likely result in performance improvements in the next release of the package. 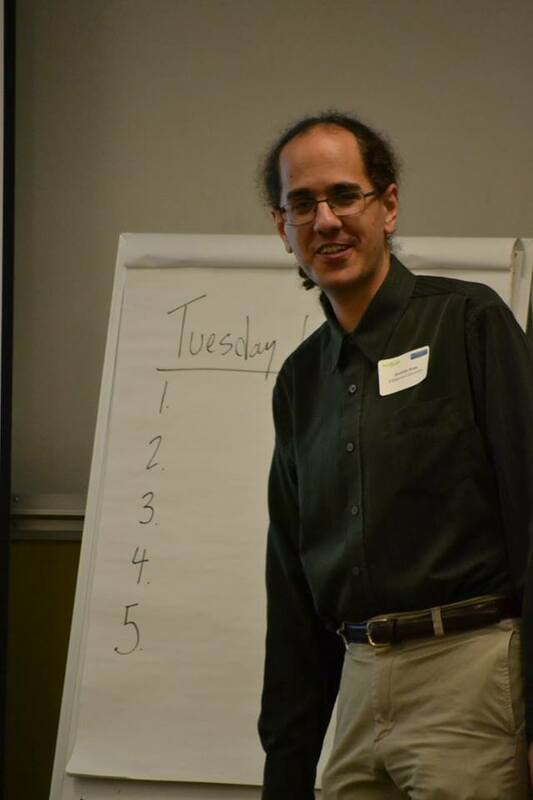 Demian Katz took notes at the 2015 VuFind Summit. It is conventional programmer’s wisdom that “software is never done,” and this is certainly true of VuFind – a mature and widely used package that nonetheless always has room for growth and improvement. Regular meetings like the VuFind Summit help to re-energize that growth and keep the project alive and on track.